Ready for Quality Service from Professionals? Contact us today to request service from Kevin Ginnings Plumbing—the best around. We are proud to extend our services to clients throughout Kansas and Missouri. For more than 30 years, we have been helping Kansas City with all of their plumbing needs! From residential to commercial properties, we can help with it all. Let us keep your water heater up to date or install an entirely new one! With advanced tools, we can clean drains from kitchens to bathrooms. In search of a good plumber in Kansas City? You have come to the right place! 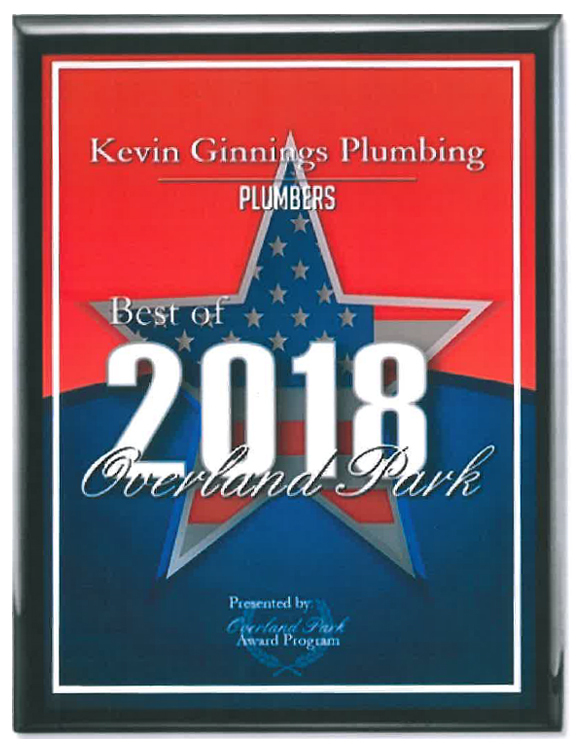 Our master plumbers at Kevin Ginnings Plumbing Service, Inc., are the most trusted plumbers in South Kansas City, Overland Park and all of Johnson County, KS. Our commercial and residential plumbing company is backed by more than 30 years of experience, and we have proudly served the area for more than 28 years. From plumbing fixture upgrades to complete system maintenance and repair, we are here for all of your residential and commercial plumbing needs. Kevin Ginnings Plumbing Service, Inc., is a full service plumber that has served the South Kansas City area and beyond for 3 decades. Our goal: provide fast, high quality plumbing services for our customers in the South Kansas City area. Whether you’re dealing with an emergency pipe burst, a pesky drain clog, or a new renovation, our skilled plumbing technicians at Kevin Ginnings Plumbing are here to help. Our professionally trained technicians come to your home or business in uniforms to bring you honest and reliable plumbing services every time. Our plumbers are experienced in all aspects of plumbing repair in Kansas City, including drain cleaning services, pipe repairs, pipe inspections, sump pumps, or sewer system backups. We’ll work to make the process as hassle-free as possible, providing upfront information on payment, estimated time to repair the issue and options for cleaning up extensive issues to prevent water damage. Whether your existing water heater is in need of water heater repair or you’re hoping to upgrade to a new, more efficient water heater, Kevin Ginnings Plumbing Service, Inc., has you covered. Keeping up with routine water heater maintenance is key to preventing an emergency down the line. The majority of water heater replacements end up being an emergency replacement, because many people wait until it fully breaks and floods their house before getting a new one. At Kevin Ginnings Plumbing Service, Inc., in South Kansas City, we can help you keep your water heater in good shape and notify you of signs you may need a new one. Our skilled plumbers have more than 30 years of experience to help you prevent an emergency later on. We carry and install a wide range of top-of-the-line water heaters, each of which comes with a 6 to 10 year warranty. Our water heaters are sold to plumbing contractors only and can’t be found in big discount centers. If you think you may need a new water heater or are in need of a plumbing repair, call us today at (816) 380-6316!